Quran readers may have also noticed that among the five basic pillars of Islam, Iman, Salaah, and Zakat have been mentioned together several times. Now, this has been done to urge the Muslims to establish firm faith in Allah because without trusting the Almighty, one cannot love Him and without this divine love in the heart one cannot follow His commands solely. Muslims have been urged to pray five times a day because it is the best way an individual can seek closeness to Allah, but to get your Salaah accepted you must be pure at heart and have an innocent soul. This is where Zakat comes into play. Zakat has been made compulsory on Muslims to give them an opportunity to purify their wealth as well as the soul. Zakat also cleanses one’s heart by removing impurities like greediness, envy and misery. Zakat also removes our sin and make us free from all sorts of impurities. We need to understand that paying Zakat is worship and our donated alms can give relief to hungry stomachs, shelter the orphans, give the sick their access to healthcare and do other goods towards the society. We can donate our Zakat money to the deserving organizations, who take their responsibility of distributing Zakat very seriously and ensure that our donated Zakat money goes to the right Zakat recipient, so that both the donor and distributor can seek the blessings and mercy of Allah. “Transparent Hands” provides free medical and surgical treatment facility to the deserving patients across Pakistan in private hospitals. It also sets up free medical camps in rural areas of the country in which free consultation, free medicines and free diagnostic tests facility is given to the needy patients and their families. 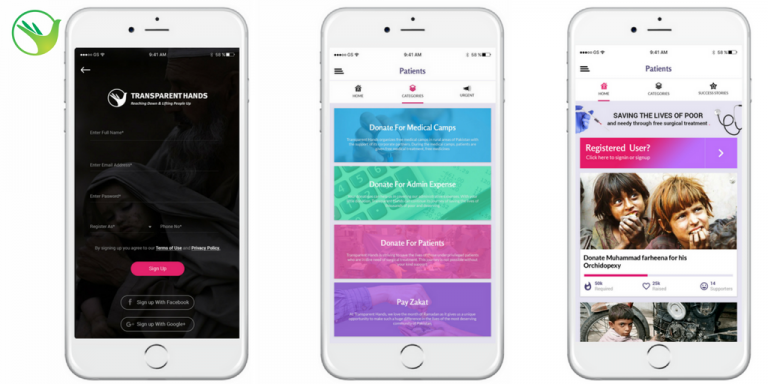 Donors from all over the world can use our online Crowdfunding web portal and donate through 100% secure payment modes. They could select any patient, fund the treatment and receive regular feedback and updates until the patient is recovered completely. “National Zakat Foundation (NZF)” seeks to revive and uphold the third pillar of Zakat. 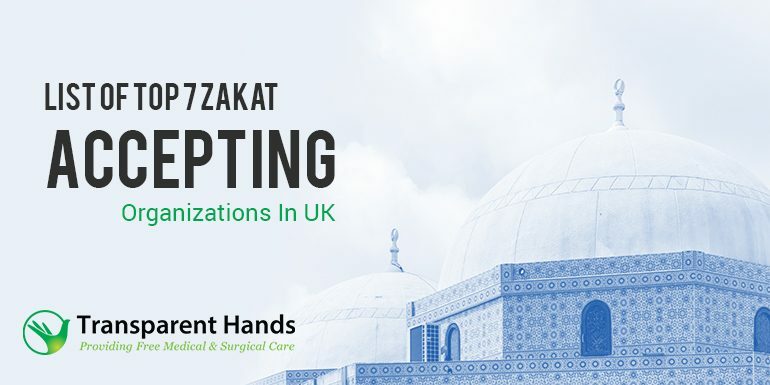 NZF’s mission is to distribute Zakat transformatively within the United Kingdom. Our vision is for Islam to flourish in society as a source of prosperity and harmony for all. Muslims are people who choose to devote themselves to God completely. We believe the strongest foundation for happiness in this life and the next lies in this relationship of devotion (Islam) between the human and Divine. There are five core obligations or pillars: bearing witness that there is no god but God and that Muhammad was final messenger of God, prayer, Zakat, fasting and pilgrimage. The overarching purpose of all the core obligations is to enable devotion to God (Islam) to flourish, individually and collectively. In the Arabic language, Zakat means growth, blessings, purification and development. Zakat requires Muslims to pay 2.5% of their qualifying wealth on an annual basis. It provides an opportunity for the payer to fulfil their duty to God by making a financial commitment. It also provides an opportunity to help the poor. National Zakat Foundation (NZF) collect Zakat payments from UK Muslims and distribute them transformatively within the UK. We believe your Zakat should be distributed effectively, so your payment provides long-term benefit for Islam and Muslims in the UK. Since 2011, we’ve distributed £10 million to help over 10,000 people in this country. We use your Zakat to empower individuals in poverty, as well as to fund leadership development that benefits Islam and UK Muslims. We’re committed to ensuring our Zakat distribution is legally sound, purposeful and effective. That’s why we have a Strategy, Policy and Research team that consults a wide range of expert advisers, including scholars, researchers and practitioners. We’re frequently audited by a leading auditor, and our audits always come back clean. 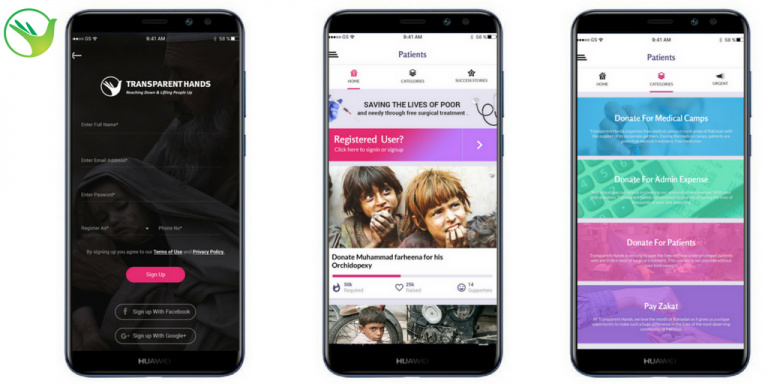 “Muslim Hands” is an international Non-governmental organization, in over forty countries worldwide to help those affected by natural disasters, conflict and poverty. The organization was established in 1993 in Nottingham, UK. We’re dedicated to serving the most vulnerable people across the world, by addressing the root causes of poverty and empowering communities. From addressing short-term needs to tackling long term issues, Muslim Hands works to alleviate poverty through a range of varied and important areas. -> Development work, which tries to lift communities out of poverty with long-term sustainable solutions based on their needs. -> Humanitarian work, assisting those immediately affected by conflict and natural disaster. -> Community welfare and development facilitating and developing local community-based projects in the UK. Muslim Hands works in over 50 of the world’s poorest countries and has offices in London and Nottingham in the UK, with global headquarters in France, Canada and South Africa. Ground-level aid is provided by staff and offices in regions including Malawi, Niger, Bangladesh, Pakistan, Palestine, China and South East Asia. Zakat, meaning to purify, it is the third pillar of Islam. At Muslim Hands we take the responsibility of handling Zakat extremely seriously. We understand that paying Zakat is not simply an act of charity – it’s an act of worship. With our dedicated Zakat service, your donation will reach those most in need, both quickly and securely. Our range of online resources will help you calculate and decide how best to spend your Zakat through one of our many Zakat eligible programmes. Our projects include providing communities with clean water, enabling orphans to go to school and feeding families in need. “Al Mustafa Welfare Trust” has spent over 30 years providing humanitarian aid to the most poorest countries in the world. Our main sector of expertise is in health care where we run medical centres in Pakistan. Our journey began in November 1983 on a small scale by a group of highly motivated intellectuals, social workers, lawyers, doctors, engineers and business executives, who had the passion for philanthropy. In the last 31 years since our formation, Al-Mustafa Welfare Trust has provided medical care, education assistance, food aid, poverty relief, famine relief and community development in disaster areas, war torn countries and many rural and poverty stricken areas of the world, serving millions of needy and helpless people living in poverty . Al-Mustafa Welfare Trust started its operations in the UK in 2007. In a short space of time we have built our reputation and gained recognition by donors in UK as a charity that is well structured, trust worthy and fully transparent. At Al Mustafa Welfare Trust, our charitable team work to supply an extensive variety of necessary services to people in need . From healthcare and education to food, water and emergency relief, our strong network enables us to help those in need across the country. Last year, we distributed zakat in eleven countries across the world and provided vital funding for nine projects. Through our appeal, we were able to provide much-needed emergency relief to over 80,000 people in need. We sent food packages, warm clothing, shelters and essential hygiene items to vulnerable people in countries such as Kenya, India, Afghanistan, Somalia, Pakistan and Palestine. During Ramadan, we were able to supply essential food packs to more than 30,000 people. We were also able to provide Sudanese women and young people, with the necessary means to start their own small businesses and begin earning to support themselves. In Somalia, we have helped almost 150 families to withstand the devastating effects of drought and natural disasters. Your zakat carries the power to change the lives of people around the world for the better. At Al Mustafa Welfare Trust, our ultimate goal is to transform today’s zakat recipients into tomorrow’s zakat givers. Giving zakat is obligatory for all applicable Muslims in Islam. However, as nisab values can vary, not all of us will always know how much we are liable to pay. To make the process easier for you, simply enter all of your values into our handy calculator tool and your zakat contribution will be determined for you. “Islamic Help” is a UK registered charity and international NGO established in 2003, by a group of young people determined to make a difference to the lives of those afflicted by poverty and suffering. Since it was established, Islamic Help has maintained its unique grassroots and community-led ethos allowing it to engage with, and engage the services of UK community so as to make a difference to the lives of those in need. It remains dependent on its dedicated and active volunteers who provide the grassroots input into its work. The simplest and easiest way to fulfil your obligation of Zakat is to use our Zakat calculator to work out how much you have to pay. It will show the Nisaab figure (using up-to-date information) and automatically work out how much Zakat is due based on the numbers you input into the various categories.Whilst the value of eligible goods and items can vary throughout the year, Zakat is based on the Nisaab at the end of the individual’s full Islamic (lunar) year. -> gold or its cash equivalent. -> silver or its cash equivalent. Many scholars recommend using silver as more people paying Zakat means more is available for beneficiaries. Assets to include in your Zakat calculation are cash (in hand, in bank accounts or money lent to someone), shares, pensions, value of crops, money from property investment and gold and silver. Personal items (your home, furniture, cars, food, clothing) are not included in Nisaab. Zakat can be paid as a full sum or regular monthly payments. Use our Zakat calculator to find out how much Zakat you have to pay. The nisaab value is based on the value of silver. “Islamic Aid” was established in 2000, to make immediate and lasting improvements to the lives of people affected by poverty, war and disaster by providing food, water, healthcare, education and livelihoods. We also provide emergency relief when disasters strike the poor communities. Islamic Aid is governed by a Trust Deed and is registered with the Charity Commission of England and Wales. Islamic Aid Works in parts of Africa, Asia and Europe to address the needs of all those in need, regardless of their race, religion, gender, nationality or political opinion. Our all humanitarian and development work centers around partnerships. Islamic Aid works alongside local organizations overseas. Islamic Aid offers financial and practical assistance to improve capacity and skills. Islamic Aid evaluates projects regularly to keep improving. We work according to internationally agreed standards, principles and core partnership values. Islamic Aid is a Muslim relief and development charity. Islamic Aid believes that the world can and must be swiftly changed to one where everyone can live a full life, free from poverty. Islamic Aid is working in many parts of the world to bring change that eradicates the causes of poverty, striving to achieve equality, dignity and freedom for all, regardless of faith or nationality. Islamic Aid provides urgent, practical and effective assistance where need is great, tackling the root effects of poverty as well as its root causes. Poverty is an outrage against humanity. Islamic Aid has a vision “An End to Poverty” and we believe that that vision can become a reality. Islamic Aid’s work is focused around the goals and objectives identified in our corporate strategy, ‘Partnership for change – the power to end poverty’ . Last year, for every £1 you gave we spent £1.10 on our work with poor people. We are able to do this because our admin costs are very low and we can reclaim the tax you have already paid on your donation through Gift Aid. Calculate the amount of zakat that is payable using our zakat calculator. Zakat al-Fitr (fitrana) is charity given to the poor at the end of fasting month of Ramadan. Islamic Aid suggest that £3 is given for each member of the household – including children, adults, servants etc , before the day of Eid. “Islamic Relief UK “ is an humanitarian organization that provides development programs and humanitarian relief around the globe, regardless of race, political affiliation, gender or belief. Founded in 1984 in the United Kingdom, it states that it delivers its projects in over 30 countries. It also owns a subsidiary company, TIC International, based in Birmingham, UK. It collects and recycles clothes to raise funds for IR’s work and provides canned meat for aid purposes. In line with Islamic teachings on the value of every human life, we provide assistance to whoever needs it most, regardless of race, religion or gender. We work to transform and save lives of people in crisis both across the UK and internationally. Over 40 years, Islamic Relief has since grown into one of the world’s largest Islamic NGO, Alhamdulillah! Last year alone, your Zakat enabled us to save lives. Zakat has funded some of our crucial work with people and communities living in disaster and war zones: drought and famine-struck countries across East Africa; communities affected by conflict in Yemen; and families in war-torn Syria struggling to survive one day to the next. Your Zakat has supported communities to build sustainable livelihoods in the face of climate change and to build better lives for vulnerable orphans and families across the globe. Alhamdulillah, your Zakat has the power to transform people’s lives. Help make this happen. Give your Zakat for the love of Allah. Without the crucial support of our donors, none of this work would be possible. We recognize the trust placed upon us by our donors and wide support base and we take this responsibility seriously. Enabling us to save and transform the lives of individuals, families and communities in need across the globe. Allowing us to deliver aid locally in over 40 countries. With offices and partners on the ground across four continents, when a disaster hits, we’re able to respond immediately. So that we can generate future income and help even more people in need. To facilitate our charity shops, clothes recycling operations and additional Waqf programme, to ensure that we raise as much support as possible for communities abroad. Fighting the fundamental causes of poverty and inequality and finding longer lasting solutions to empowering communities worldwide over the long-term. Zakat gives a Muslim the opportunity to do something good for our community on a larger scale. Zakat is a thoughtful way to protect the poor from hunger and provide them social security at the time of their crises. It is really overwhelming to see, that UK Muslims value the Islamic philosophy of giving and have embraced it very positively to alleviate the sufferings of unfortunate communities. 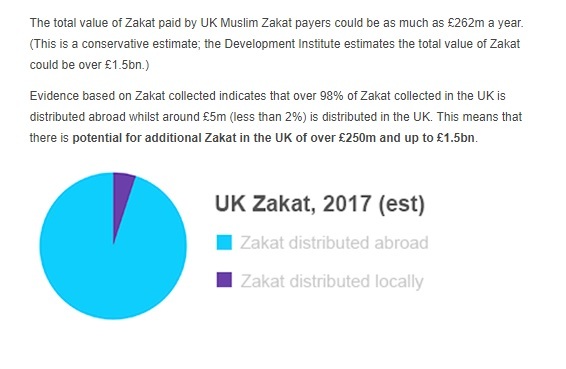 According to the National Zakat Foundation website, the total value of Zakat paid by UK Muslim is £262m a year, which is a commendable effort made by them to support the vulnerable population around the world. The amount of Zakat given is, however, much less than what is required to help the poor and needy community domestically and abroad. We need to free ourselves from the love of money and come forward to uplift the needy ones, that are living under inhumane and indecent conditions and are deprived of their access to basic necessities like food, shelter, clothes, healthcare, education, etc. We should also remember to provide help to both donors and recipient. Allah the Almighty has promised to give rewards to the Zakat givers by increasing their wealth, forgiving their sins and blessing them with peace of mind. Let us donate our Zakat money to deserving organizations, and show the poor community that they matter as human beings and that we value their lives, right and security.